Home movies rarely tell the whole story of someone's life. Instead, they show fragments of a story that the person behind the camera hopes and imagines his life to be. Years later, when one's current reality has faded or has become too difficult to bear, one returns to these memories, to this abridged story, to one version of the past. SCATTERED takes an unflinching look at the filmmaker's late father--a man who was fixated on documenting his life on film and who had been a mystery to her for most of her life--and unravels the story that he created with his camera, to reveal the story that actually was. Lindsay Lindenbaum graduated from Washington University in St. Louis with a B.A in Film & Media Studies and Psychology, and the School of Visual Arts with an M.F.A in Social Documentary Film. She has directed two award-winning short films that have screened at various festivals around the world. Her most recent film, NECKING, was also a semi-finalist at the 2012 Student Academy Awards. 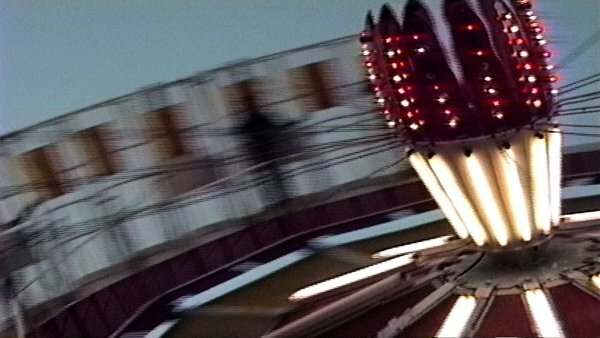 Her current film, SCATTERED, explores the nature of memory and the role that home movies play in how we remember the past. Director Lindsay Lindenbaum will be available for a Q&A after the screening.